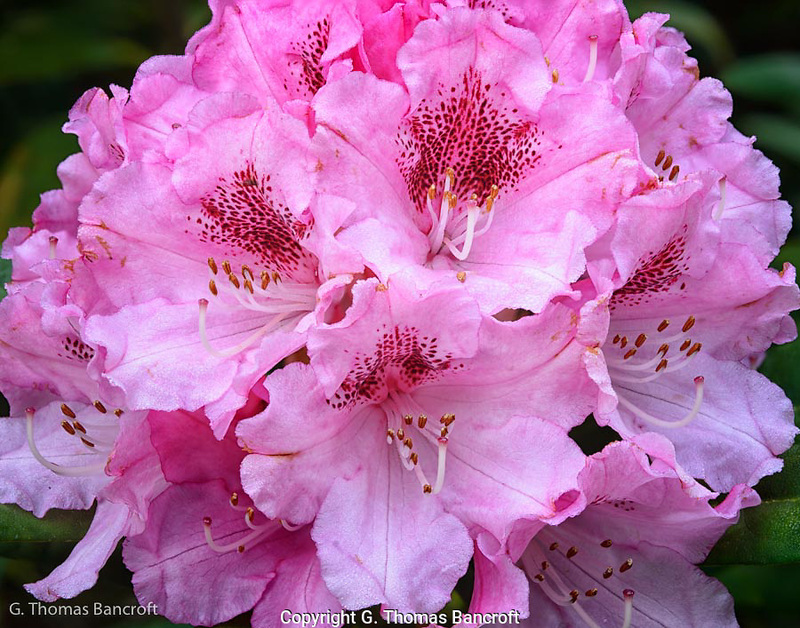 The pink rhododendron had large clusters of flowers on the ends of each branch. This created quite the show. I was intriqued by the detail in each flower.